Home / Blog / Looking Back At All “Kickasso Kustoms” Limited Edition Releases To Date! For those of you who are still unfamiliar with Kickasso Kustoms, they are the makers of the most prominent custom shoe designs that you can find today. Kickasso (Picasso+Kicks), or Troy Cole, uses sneakers and shoes as his canvas and turns ordinary shoes into masterpieces. He has designed shoes for a significant number of athletes, music artists, and celebrities with the most prominent athletes being LeBron James, Kevin Durant, Dwayne Wade, Joe Haden and Arian Foster. 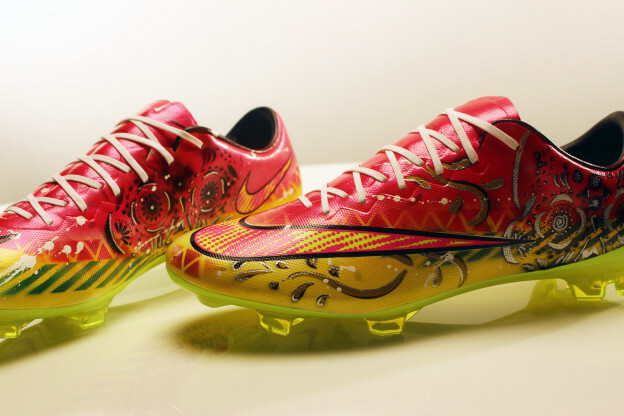 More recently, Kickasso has started doing limited edition collaborations for soccer cleats with sites such as SOCCER.COM and WorldSoccerShop and it has raised a lot of intrigue in the boot market. His “Kustoms” are very exclusive and are normally limited to around 10 customized cleats or less and generally sell out within minutes when they are released for sale online! In 2015, he has already released a few holiday themed Kustoms on WorldSoccerShop and each individual pair has been unique since they are all hand painted! We are also anticipating more custom releases from Kickasso and WorldSoccerShop judging by their success so far. To celebrate the recent success of his unique Kustoms and to keep ourselves updated, we compiled all the soccer inspired Kickasso Kustoms released in recent times. Be sure to check them all out and then vote for your favorite design below as well. The Tiempo Premier Kustoms were released on Soccer.com last year and like all of Kickasso’s creative designs, sold out immediately. They feature a galaxy type dark blue print with a vivid neon or orange swoosh. 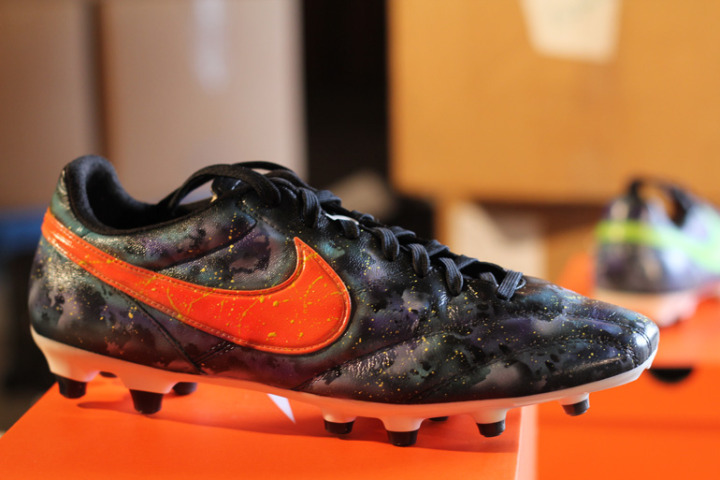 They are fairly similar to the CR7 Galaxy cleats, but there is something about these Premiers that makes them out of this world in my book! These individual one of a kind F50s were released on Soccer.com last year, with each of the 10 pairs having their own unique identity. Each pair actually had the number out of 10 created labeled on the cleats, which added the extra bit of exclusiveness that collectors may have been looking for! 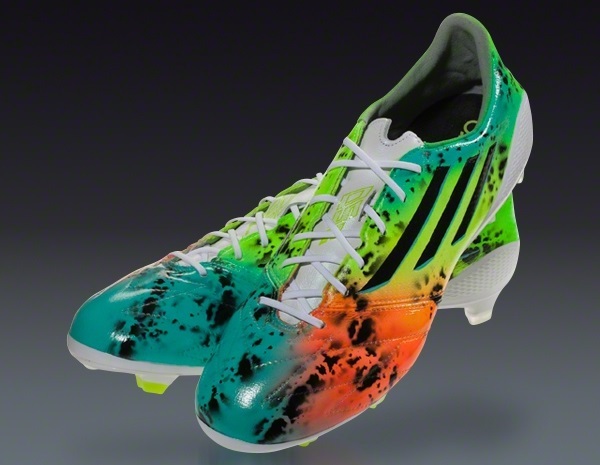 The actual design is a base of mixed neon colors with black splotches throughout over the base! 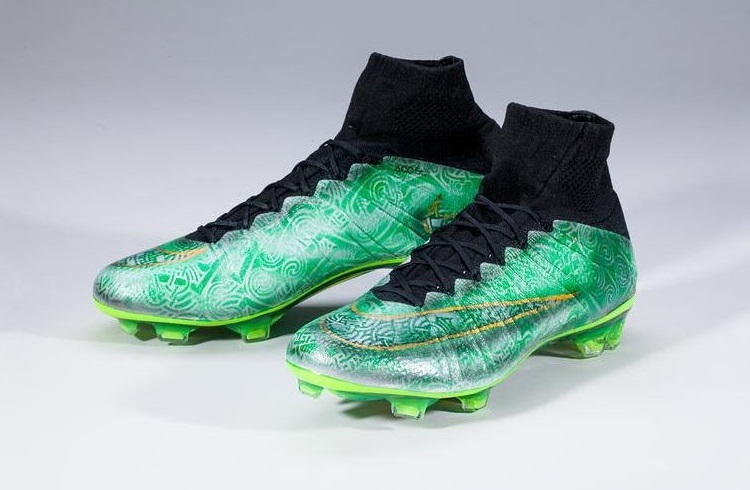 To celebrate Mardi Gras this year, Kickasso released his first collaboration with World Soccer Shop, which is a stunning Carnival themed pair of Magista Obras! Taking a pair of White/Knight Magistas, Kickasso transformed the boots with a sparkling coat of purple, gold and green to reflect the colors normally found in a typical Mardi Gras celebration! With 5 Pairs of St. Patties day listed at $499.99 selling out in less than a minute you know these are some popular boots! The limited edition boots feature Celtic styling throughout the upper to make for an expressionist type of look that can be found in the Irish countryside! The base boot used for the design was a pair of White/Knight Superflys and was completely transformed to make these stunning boots! 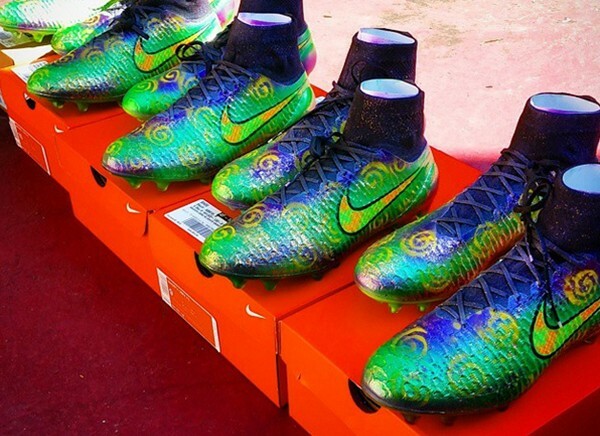 This unique pair of Kicking Autism Hypervenom Kustoms was auctioned for charity in March. The winning bid was from a collector in Thailand with a winning bid of $1,325.00 with all the proceeds going to the Autism Society of Alabama according to World Soccer Shop! The autism puzzle piece symbol is found throughout the boot, with different puzzle pieces scattered through the upper and the swoosh itself is in a puzzled design. This design is a little different than Kickasso’s other Kustoms but has its own unique feel to it which I’m a big fan of. To celebrate Cinco de Mayo, Kickasso took his designs to a pair of Black/Solar Green Adidas F50s to create his Mexican styled masterpiece! There are Green/White/Red stripes on the heel to symbolize the Mexican flag and the boot itself has a unique Mexican theme throughout the upper! 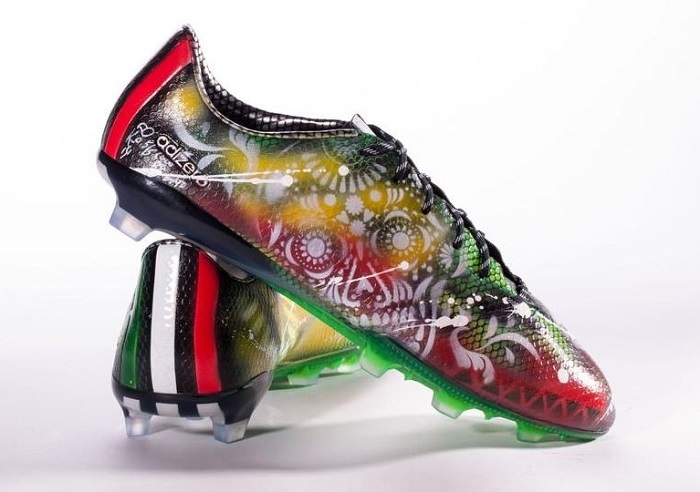 Only 5 of these one of a kind boots were released on World Soccer Shop and as usual sold out in minutes! Another Cinco de Mayo design from Kickasso, this design made for Soccer.com is also quite different from his other Cinco de Mayo design. Using a pair of Nike Mercurial Vapor from the Shine Through pack, Kickasso added his creative touches to make a Red/Yellow themed design. Would you wear a pair of Kickasso Kustoms? If so, how much would you pay for a pair? Let us know in the comments below!